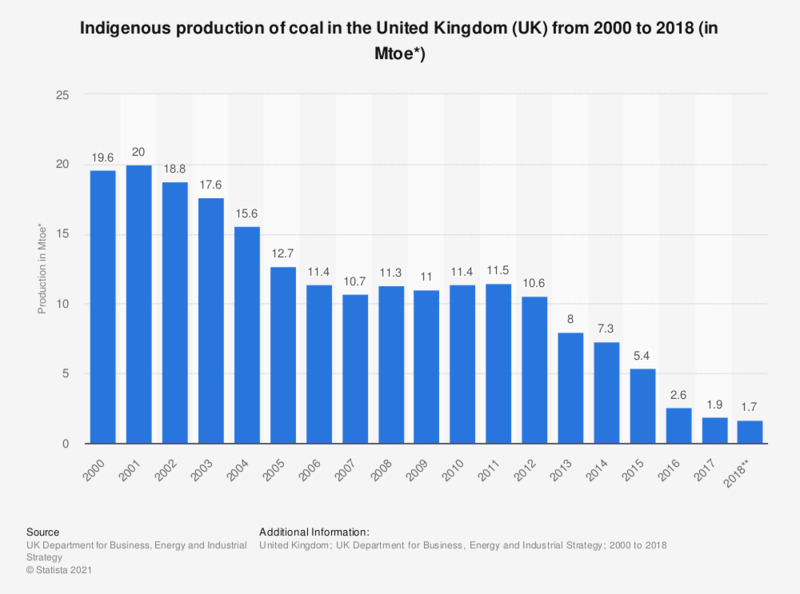 This statistic displays the total indigenous production of coal in the United Kingdom (UK) from 2000 to 2018. It shows that production of coal decreased significantly over this period and amounted to just 1.7 million metric tons of oil equivalent in 2018, showing a clear move away from indigenous coal reliance in the UK. 2017 recorded the lowest amount of electricity generated from coal in the UK, at just 22.53 TW, compared with 143 TWh in 2012. *Million metric tons of oil equivalent. According to the source, the data includes an estimate of slurry.